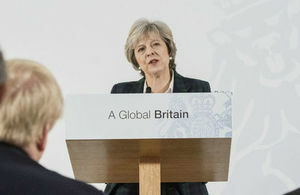 Prime Minister Theresa May has unveiled a new ‘modern Industrial Strategy’ aimed at creating world-leading UK sectors via more government-led co-ordination and planning. The industrial strategy is one of Theresa May’s big ideas for her government, and is intended to stand apart from the coming Brexit negotiations. But it is inevitably being seen as a blueprint for a post-Brexit Britain, as it could try to exploit advantages of leaving the EU – if any emerge. Interventionist industrial policies have not been in vogue for decades in the UK, but May believes this is the time to introduce a modern version of the approach. On the continent, France’s ‘dirigisme’ helped it grow strongly after the second world war, typified by investment in infrastructure and key (state-owned) industries. Of course May is not proposing taking back industries into public ownership, but does want to take a more direct role in promoting excellence and addressing weak points. However the strategy will still depend on a healthy and growing economy – something which Brexit could put at risk over the next few years. The new strategy emerges just as the newly inaugurated President Trump has promised to put ‘America First’, protectionism which may include ripping up existing free trade agreements and introducing new tariffs. May has made it clear that she is an advocate of globalisation and free trade, however; something she will undoubtedly discuss when she travels to Washington to meet Trump on Friday. Among the UK industries highlighted as existing world leading sectors are life sciences, and early work on creating a new industrial strategy has already begun. Sir John Bell, already very familiar to UK pharma and biotech – most recently from the Accelerated Access Review – is leading the new strategy, which the government hopes to have set out by March or April. Among the 10 strategic pillars for its pan-industrial strategy is ‘investing in science, research and innovation’, something that UK pharma association the ABPI and biotech sector organisation the BIA will hope the government sees through. A new green paper published today sets out technologies where Britain has strengths in research and development. These stand to gain from a new Industrial Strategy Challenge Fund, and will include: smart energy technologies; robotics and artificial intelligence and 5G mobile network technology. This fund is part of £4.7 billion of additional R&D funding announced in November, a bigger increase than in any Parliament since 1979. Among a number of new projects announced today to accompany the strategy was a new £10 million investment in a regional life sciences cluster. But the greatest test for any UK life sciences industrial strategy will be investment in the NHS and its uptake of new medicines, medical devices and other new technologies. Just as the new life sciences strategy is being launched, the NHS is experiencing unprecedented pressure, as funding per patient declines amid ever-growing demand. This is directly affecting spending on new medicines. Most notably, NHS England is set to introduce a new ‘affordability test’ into the NICE process which could see use of more new medicines blocked or delayed. UK pharma leaders have told pharmaphorum that any life sciences industrial strategy which doesn’t address this question – and see the NHS as potential engine for growth – will fall far short. The Prime Minister’s office says it will be prepared to offer a range of support, including addressing regulatory barriers to innovation and growth, looking at how trade and investment deals can be used to increase exports. It adds that new institutions could be created to provide leadership, support innovation or boost skills. While this is an attractive proposition for life sciences, Brexit raises some more pressing questions about existing regulations. Following her speech last week in which she signalled that the UK would exit the single market, it now looks increasingly likely that the UK will have to go it alone in terms of drug regulation, and not be aligned with European Medicines Agency. 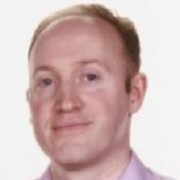 Finding a solution to this – probably involving the UK’s regulator the MHRA taking over as sole regulator – will be of utmost in importance between today and when Brexit occurs in 2019. The UK life sciences sector will try to pin the government down to real commitments in talks around the new strategy. But much like the UK government in its own Brexit negotiations with the EU, UK pharma and biotech will find it is not they who have the final decision on the agreement.